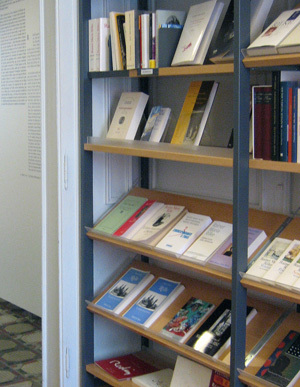 The book shop in the museum’s reception area is stocked with a selection of books by and about Rilke in German, French, English and several other languages. Postcards, CDs, and posters can be found there as well, along with – naturally! – Rilke Foundation publications. The museum shop is open during museum opening hours, from Tuesday to Sunday from 2pm to 6pm.